He’s had audiences in ­hysterics for decades and Britain’s oldest working clown Brian Dewhurst ­intends to have the last laugh, even if it means dying while on stage. Still performing eight shows a week, even at 86 the idea of retirement sounds ridiculous to him. 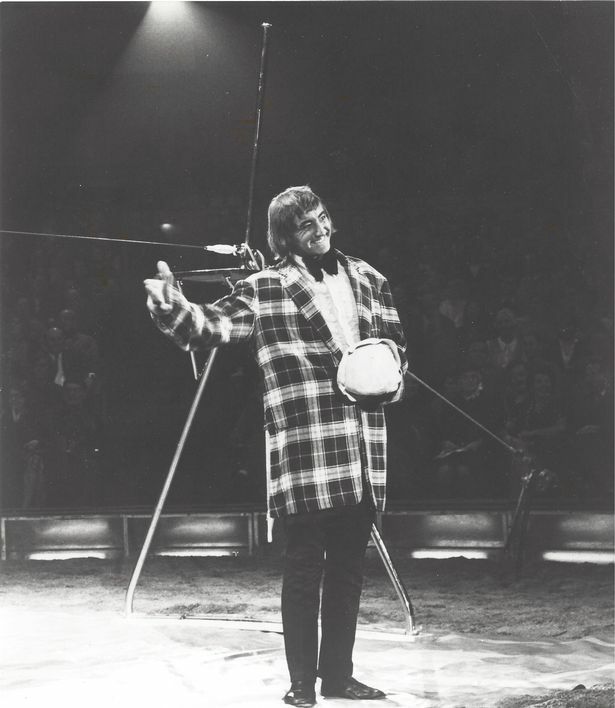 Brian believes he’ll carry on clowning until his final curtain. He says: “I joke to colleagues, ‘If I don’t come out of the box on stage just take it away and bury me’. 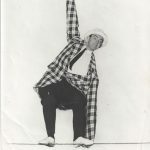 Brought up in Manchester with his grandma while his circus-performer parents Manz and Chico toured the world, Brian believes he was born to entertain. 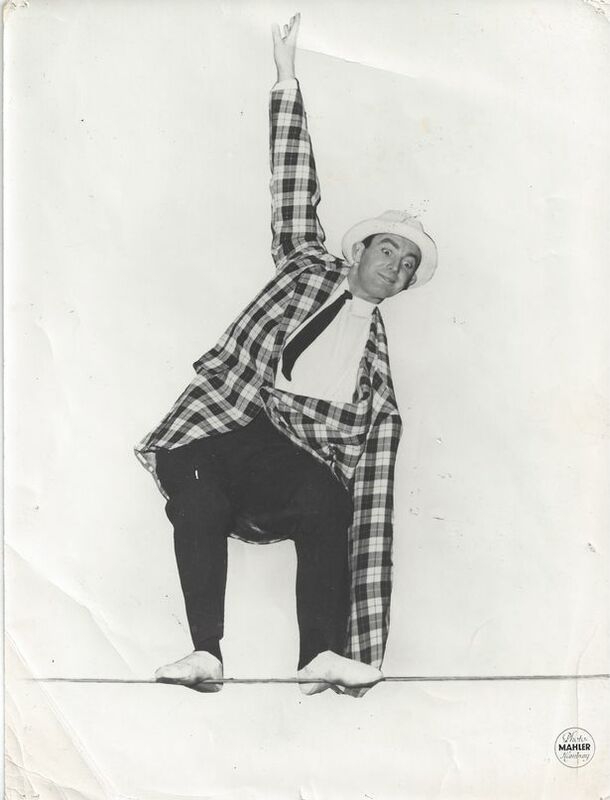 At 13 he did skits at a local zoo and loved it so much he left school a year early for a circus career. “Something about the circus just drew me in,” he says. “When I was with my parents in the school holidays it would be natural to try juggling, rope throwing and things like discipline and work ethic. In a career spreading joy across the world, Brian won fans among Hollywood’s greatest stars, coached acrobatics to Great Britain athletes and, most proudly, performed with his ­children Nicky and Sally. 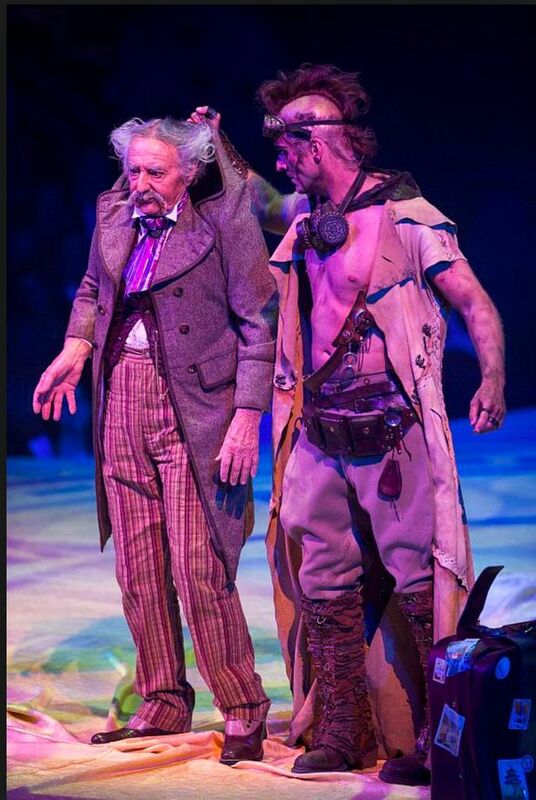 For the past 20 years he has starred as the mischievous Brian Le Petit in Cirque Du Soleil’s show Mystere in Las Vegas. Recently he was honoured with a Las Vegas award for lifetime achievement, alongside Nicky. Brian says: “To be celebrated like this is astonishing as I never set out in my career to win awards, just entertain people. Working with the public keeps you fresh and on your feet. You never know what the audience will do – it makes it exciting and fun to go to work. 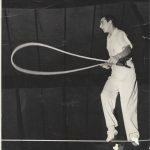 Brian has mastered far more than slapstick stunts and became known as one of the best tightrope walkers on the circus circuit. He says: “I was always athletic and sporty, so the wire was a starting point to expand on tricks. “For practice it was a couple of feet above ground, but I took one step out and then continued walking. “I didn’t even think of coming off. It was just as normal as walking down the street. 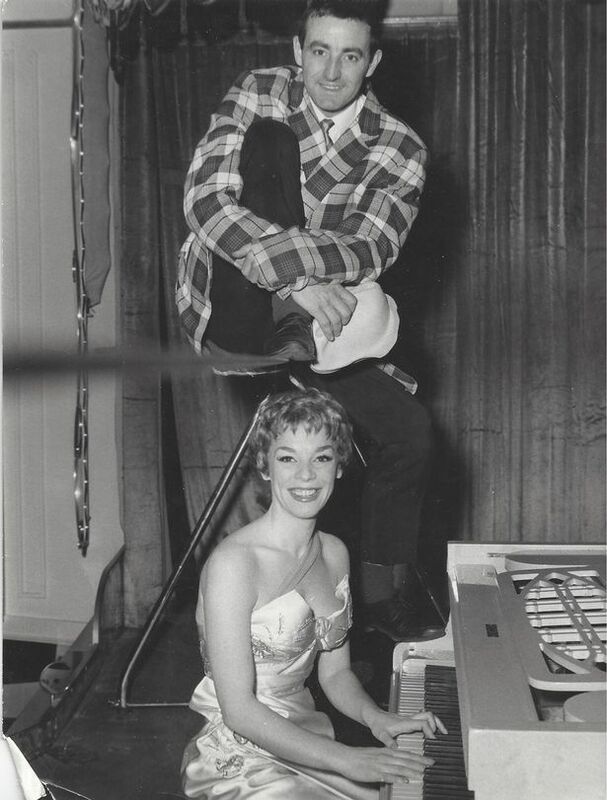 Brian also fell in love with singer Julie Dey and they married in 1959 and toured the world with their cabaret act. He says: “It was a great life. I’ll never forget the year in Africa, playing 200 shows, travelling by train. On the back car you could sit on the balcony, watching lions, giraffes and elephants in their habitat. 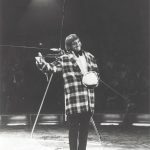 In 1965 Brian was flown to New York to appear on The Ed Sullivan Show four weeks before The Beatles performed. He says: “It was a big show and an honour, but I saw it as well-paid gig. People today would see that as an opportunity to break into TV and movies, but I was settled in my career. “Afterwards an agent offered me a season at Radio City Music Hall but I wanted to get back to London to be with my wife as we’d just had our daughter Sally. “It never entered my mind to grow a career and try for Hollywood. If I stayed who knows if movies would have called? “But I don’t regret anything. 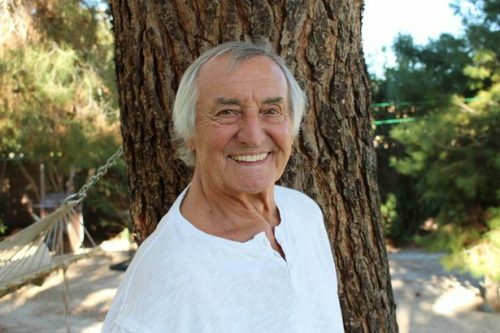 Family had always been important to me and I was not going to leave to build a career thousands of miles away.” Brian bought an 18-bedroom property in New Cross, South East London, to use as both a family home and rental spot. 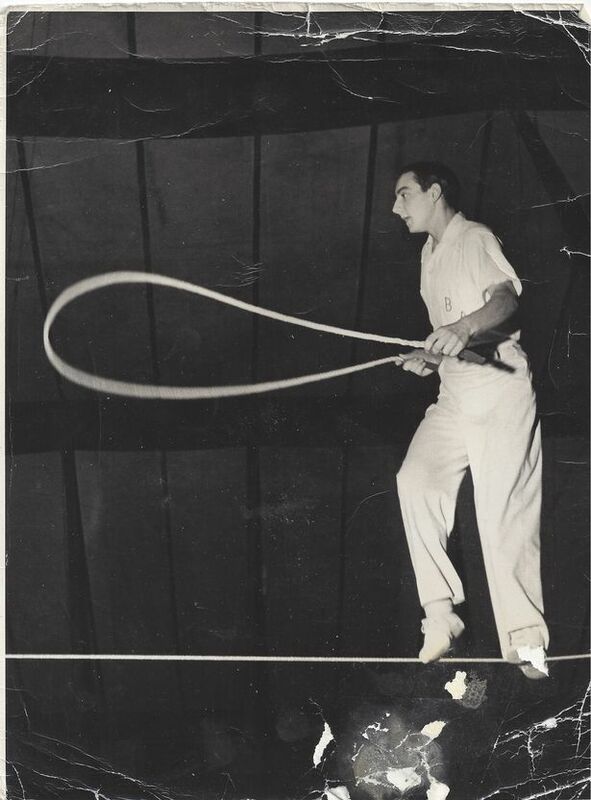 He and his wife’s parents moved in to help care for Sally and younger son Nicky while he performed his tightrope act. 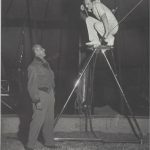 Brian was a coach for several Great Britain members in the late 1970s but the circus drew him back in and he joined London’s Circus UK as assistant director. At the same time what was then a small French-Canadian company, Cirque du Soleil, which was doing similar shows, came calling. He says: “The bosses saw what we did and asked us to go to Montreal for workshops. I didn’t realise that was their audition. 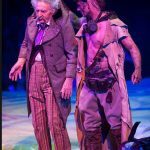 Cirque created artistic coordinator roles for Brian at new shows in Las Vegas and Europe. But on the opening night of “O” in Vegas in 1998 Julie died of pancreatic cancer. When Brian was widowed, head of wardrobe Helene showed particular kindness to him. They began dating and married in 2007. 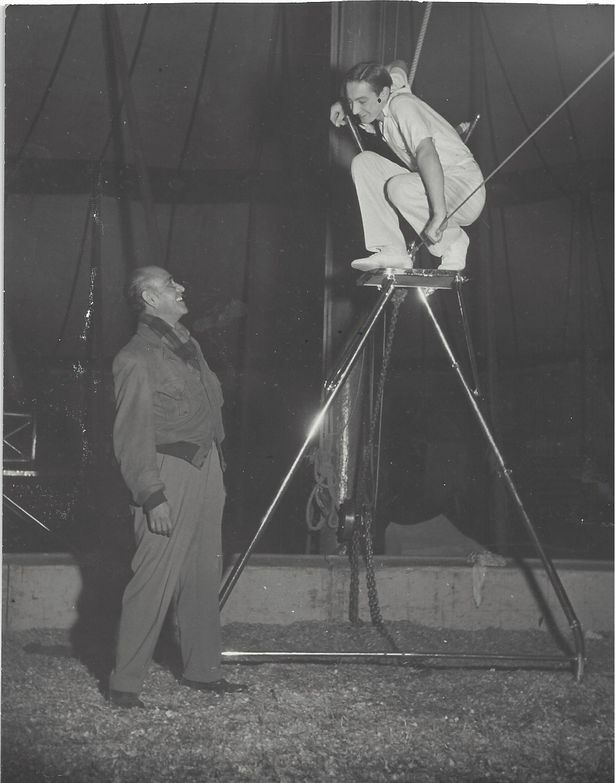 But there’s no doubt the other great love in Brian’s life is the circus. He says: “I cannot wait to get on stage for each show. Even if I am stuck in that bloody awful traffic on the Strip, the minute I get to the theatre all my worries melt away.